Rainforest Gold Marble which is otherwise called Bidasar Gold Marble is one of the premium and rich Gold Marble from Kushalbagh Marbles. Gold Rainforest Marble is a splendid darker base with diminishing dull-hued and dim veins, spots which show the figure of forest and trees on its exceptional marble quarried in Rajasthan. These marble stone can be availed in the natural surface as well as calibrated, Honed and sand blasted finish. 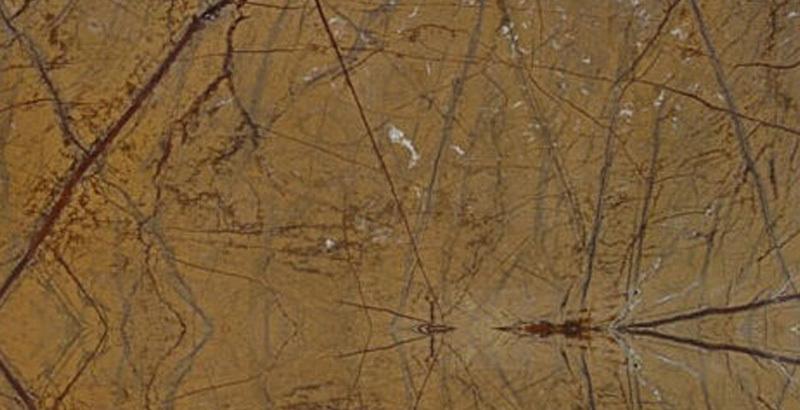 Exotic stone consisting of shades of Gold and Grey with unique deep reddish brown veining that evokes images of tree branches. They have used by the architects to decorate both interiors and well as exterior of the buildings. Rainforest Gold Marble can also be used for making the decorative boxes, clock cases and for variety of other purpose. Kushalbagh Marbles Private Limited, located at Banswara, is the biggest supplier and exporter of Rainforest Gold Marble. We are supplying Rainforest Gold Marble to all over India and have also exported it to more than 20 countries around the world. Apart from that we can make custom made orders for counter tops, thresholds, steps and risers, etc. of Rainforest Gold Marble. To fill out the enquiry form, please click here to get the best quotation for Rainforest Gold Marble.